THE ARK OF THE COVENANT HAS BEEN FOUND. AND NOW IT MUST BE DESTROYED. When a mysterious priest from the Horn of Africa requests Laura Palmer’s help in preserving an ancient artifact, he refuses to identify it, but convinces her and her husband, Archaeology Professor James Acton, to help before it is too late. Little do they know they are about to be shown the most significant religious artifact of all time. Missing for thousands of years, it has been carefully preserved where it was least expected, and now is at risk. From the ravages of time, and those who would stop at nothing to possess it. Or destroy it to fulfill an ancient prophecy. 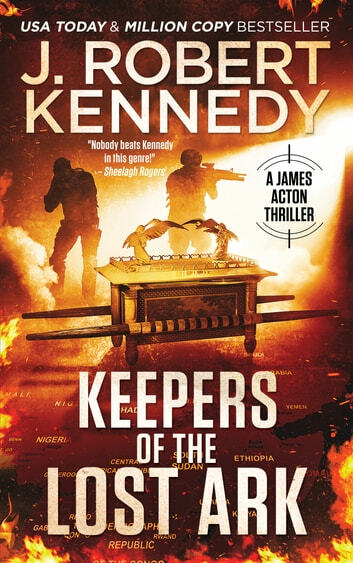 Award winning and USA Today bestselling author J. Robert Kennedy once again twists history to his own ends in Keepers of the Lost Ark, delivering an action-packed, inspirational thriller sure to leave your heart hammering. If you enjoy fast-paced adventures in the style of Dan Brown, Clive Cussler, and James Rollins, then you’ll love this thrilling tale of archaeological intrigue. This adventure thriller continues Kennedy's Acton series, with twists and turns aplenty. I had trouble putting it down.